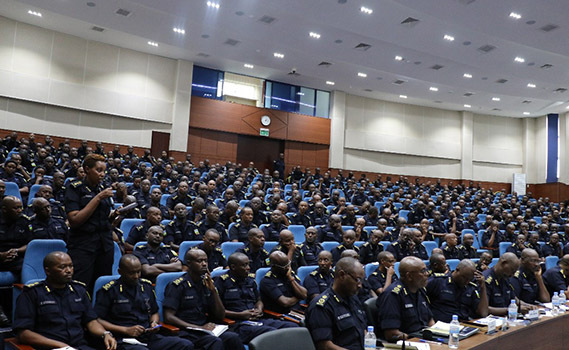 The Rwanda National Police (RNP) supreme organ, Police High Council, on Tuesday resolved to boost the institutional capacity through trainings on fighting, preventing and investigating crime as well as compliance with the law and improved service delivery. The set priorities are intended to further professionalize the force in awake of the evolving policing landscape and to effectively combat crime. The Council was chaired by the Minister of Justice and Attorney General, Johnston Busingye in his capacity as the Minister in charge of Police. Other priorities for the law enforcing body include strengthening partnerships both locally and cross-border, enhancing discipline and better welfare in efforts to have a more proficient force. Minister Busingye observed that the success of the force in ensuring homeland security is a result of the service of every man and woman in the force to translate the guidance given into solid actions. “This should be a platform to assess and take concrete measures to further ensure that the safety of people and their property continues to improve and guaranteed even in the future,” he said. “Security is no longer seen in protecting people and their property alone; security is determined by way of how people live, food security, environmental protection, health and protecting rights of all groups, among others, and this is achieved through joint effort,” he said. Busingye pledged government’s commitment in supporting and equipping the force to achieve its mandate. Over 500 officers including commissioners heading various departments, commanders of units, regional and district commanders, seniors and junior officers attended. The Inspector General of Police, Emmanuel Gasana said that the changing policing landscape tasks the force to adopt new and advanced skills and equipment to facilitate both locally and abroad especially in peacekeeping missions. The Council brought together close to 500 officers including commissioners heading various departments, commanders of units, regional and district commanders, seniors and junior officers as well as representatives of Non-Commissioned Officers (NCOs) from all territorial and specialized police units. This is something good, and this council I think it came to add more on Rwanda National force how they perform their duty. Really we citizen we’re proud of u. 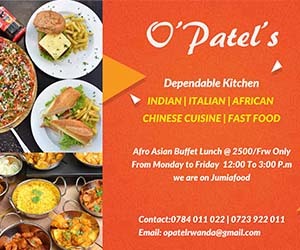 The way u complete your job of ensuring our security and safety, this is remarkable countrywide and where our Rwanda Police execute the given duty. This meeting increased forces motivation because Police officers will get more training and welfare according to these Police Supreme organ resolutions. so I thank @RwandaPolice, Keep up !! !